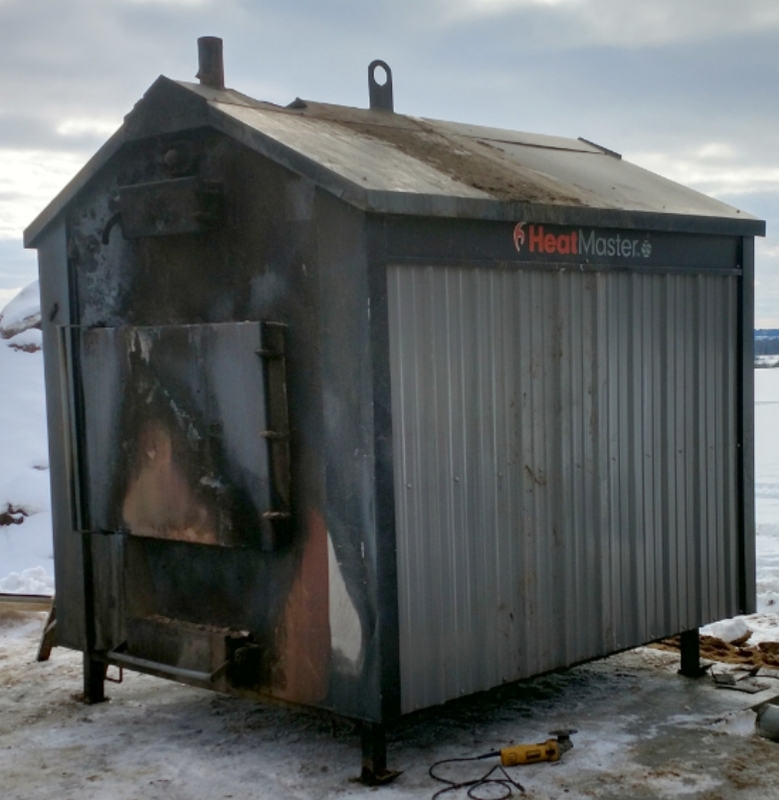 Outdoor furnaces are widespread heating solutions in Canada, especially in rural environment. They can heat hot water networks that can be easily used to heat houses, garages, farm buildings or even dryers. Many buildings can be connected to a single furnace and heating with wood is quite cheap. However, these furnaces have some major drawbacks. 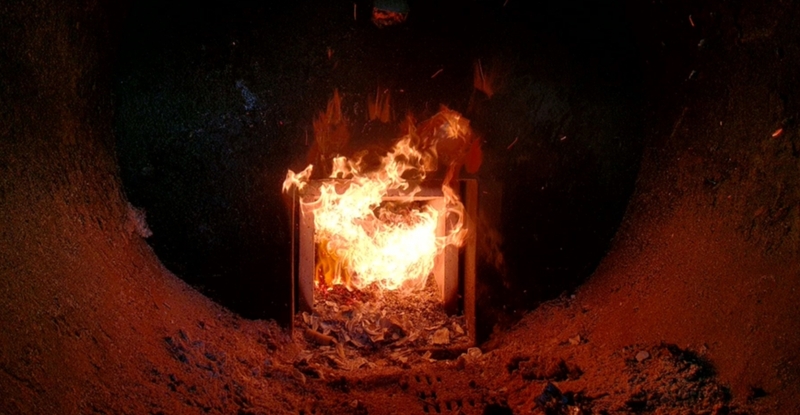 Having to fill the furnace by hand, usually several times a day, means that the user can never go too far away. Filling the furnace becomes hard work especially during winter storms, moreover if a nasty bug drains your force. Moreover, even if most furnaces are driven by a thermostat, it is quite common to get your furnace cold by fuel depletion. As a result, room temperature in the heated buildings has a tendancy to change a lot during the day. Finally, when the furnace is hot and the fans do not feed the fire anymore, the furnace emits some thick smoke. That smoke contains a lot of fine particles and usually is not appreciated by the neighbours. Säätötuli biomass burners are easy to fit on most of the existing outdoor furnaces. 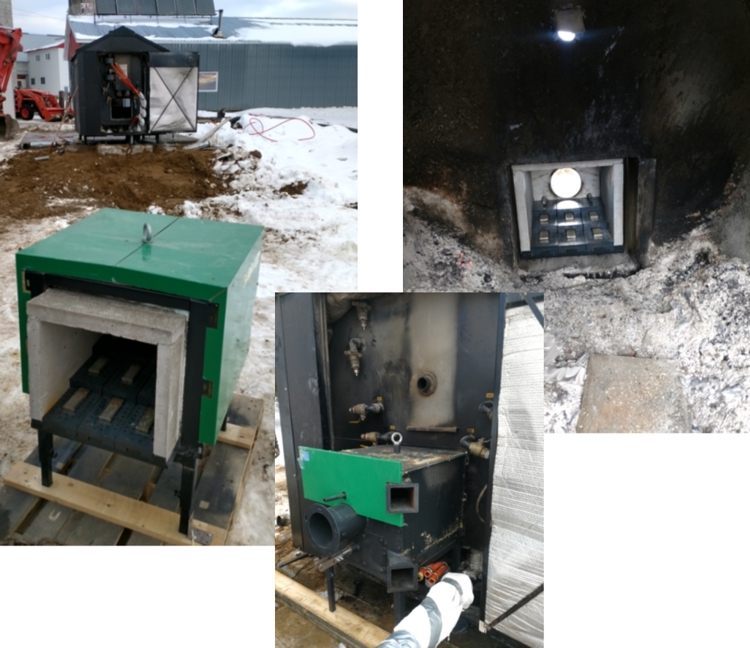 Depending on the output of the furnace, they can usually be fitted with Säätötuli STRONG, Metri2 or Kaks2 feeding systems with a Säätötuli biomass burner and a C110 control box (120 or 240 VAC depending on the installation site). No more filling the furnace daily or more, you can fit a hopper that will last several days and that is easy to load with the front loader of a tractor. Pleasant and constant heat. The automation is connected to the furnace’s thermostat and keeps the desired temperature by idling or running the burner depending on the real-time need. You can use as well wood-energy chips or pellets. 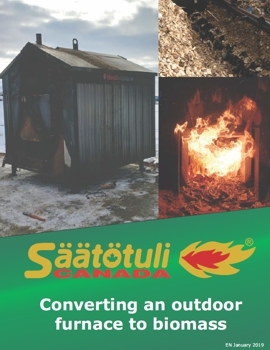 Säätötuli burners are well known for their versatility regarding different solid fuels. Increase your relationship with your neighbors. No more smells nor visible smoke, the Säätötuli biomass burner optimizes the combustion and avoids emissions of unburnt gases. The customer heats two big houses and a garage with a HeatMaster MF20000 outdoor furnace (about 800 000 BTU/hr). 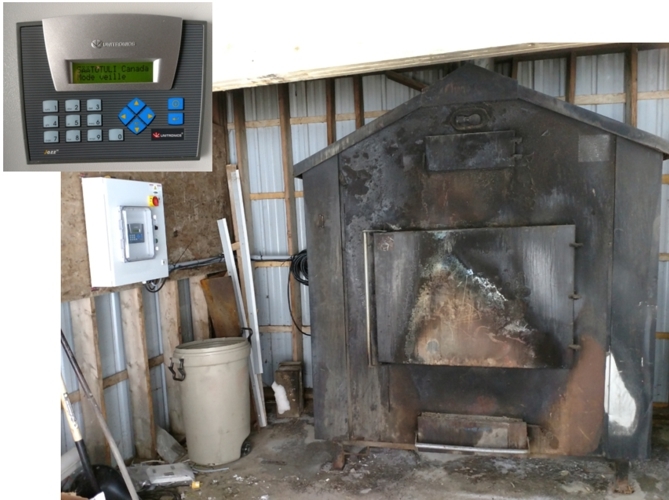 Based on the number of cords the customer uses every year, he decided to fit his furnace with a 150kW (511 821 BTU/hr) Säätötuli biomass burner. The outdoor furnace was modified by adding a hole at the rear to fit the burner inside the fire chamber. During the installation, the burner is fitted on position and remaining gaps are filled with fire-resistant rockwool. To increase the time between hopper fillings, the customer chose to combine the burner with a Kaks2 feeding bottom. The Kaks2 bottom connects to the burner with an auger. The customer built himself hopper walls on top of the Kaks2 feeding bottom. Once the mechanical installation is done, the control box is installed and all the motors and control systems are wired. 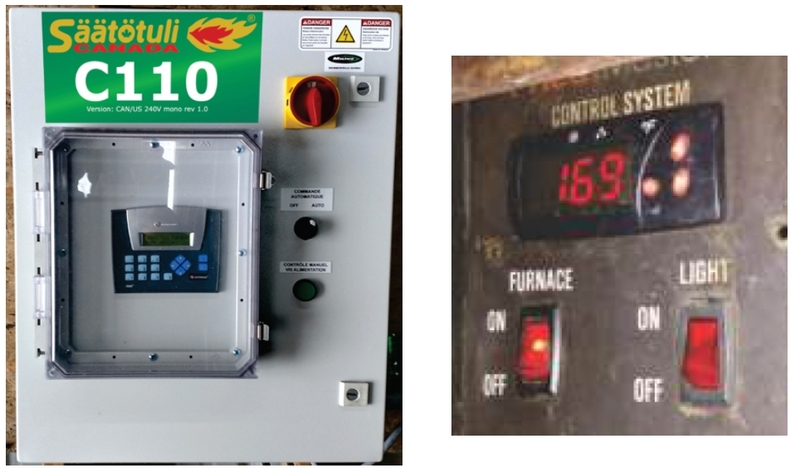 The thermostat of the furnace is connected to the automation box and will drive the burner to keep the furnace at the desired temperature. Once the startup and the training are done, all that remains to do is to benefit of a continuos heat with no smoke. The furnace burns now woodchips that are made in the farm with a PTO-driven chipper. During the coldest days, the hopper is filled twice a week with the tractor’s front loader.